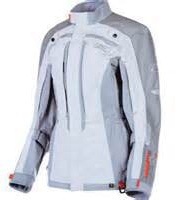 Today we picked up Anne’s new Klim Altitude cream jacket and Shoei Neotec helmet from Adventure Bike Shop, along with the Wolfman waterproof bag we forgot on our last visit. We have both decided on new helmets, even though we brought ours from Australia, as our existing helmets are black. This is not the best colour for hot conditions, which we will face on our travels for the most part. In Queensland we ride in winter and summer mornings, so we are not exposed to the heat of 30 to 35 plus degree days as we will in Asia. 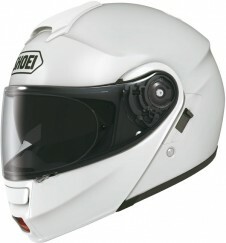 Anne has chosen a Shoei Neotec helmet, a flip-up helmet, which we think will be more friendly when stopping at checkpoints and other official places. We now head to Verwood in Dorset, to Anthony’s sister’s, where we will be based as we kit out the bikes with the car load of accessories and equipment in the back and boot of this hire car. How will it all fit? Still seems unreal that tomorrow we pick up the bikes.